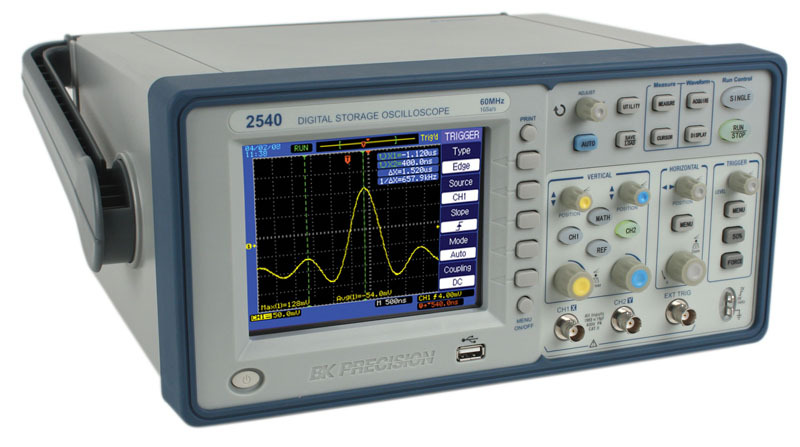 The model 2540 dual channel Digital Storage Oscilloscope delivers an unmatched combination of performance and value. 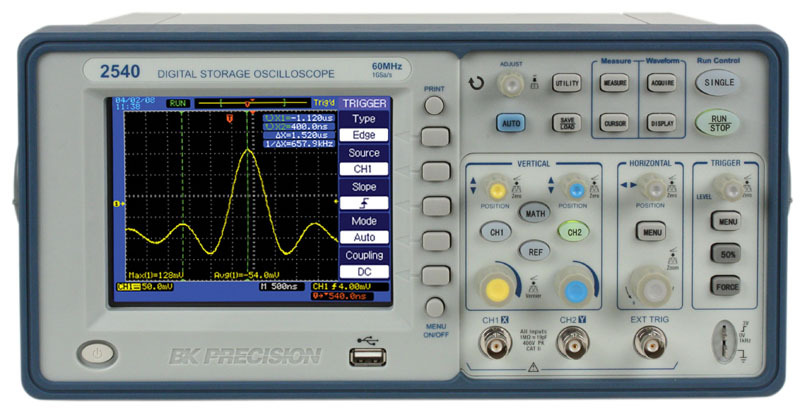 Analog style controls combined with an Auto measurement function make this oscilloscope easy to use. Advanced features such as FFT function, digital filtering, waveform recorder, delayed sweep/zoom, mask testing and automatic measurements provide you with powerful tools to debug your circuits. 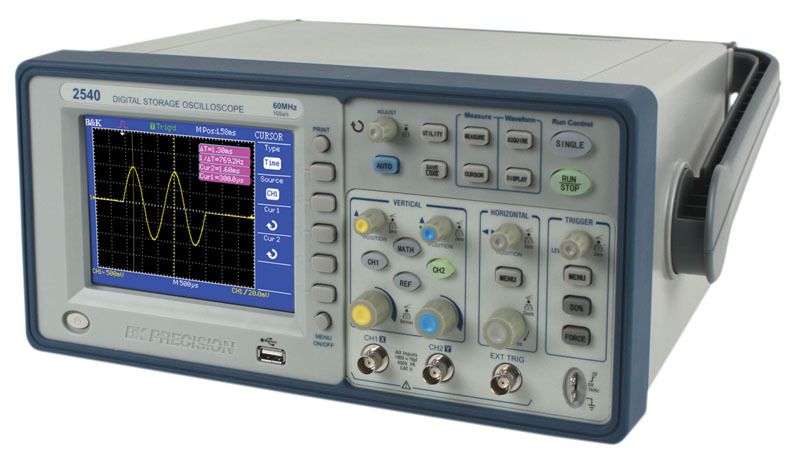 The 2540 is an ideal oscilloscope for use in education and training, design and debug, service and repair.